The event was attended by woman sarpanchs and women associated with the ''Swachhta'' campaign from across the country. 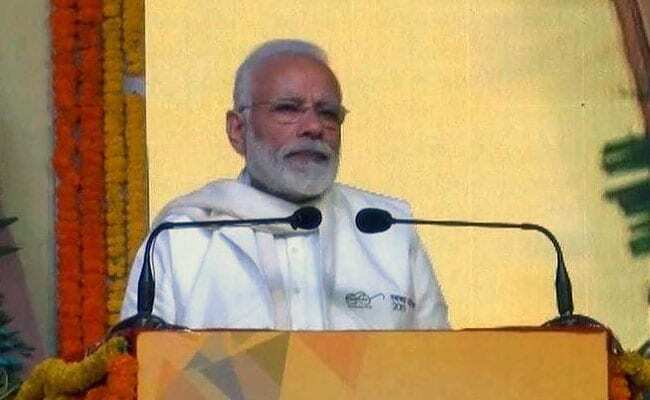 PM Modi was here to participate in ''Swachh Shakti 2019'', an event to recognise the leadership role played by rural women in Swachh Bharat Mission towards achieving a clean and open defecation free country by October 2 this year. PM Modi distributed the ''Swachh Shakti 2019'' awards. PM Modi also inaugurated the Rs 2,035-crore National Cancer Institute (NIC), Badhsa in Jhajjar district, through video conferencing. PM Modi also inaugurated the ESIC Medical College and Hospital, Faridabad. Foundation stone of ''Battles of Panipat Museum'' was also laid by Modi. The museum will honour the heroes of the battles of Panipat. PM Modi also laid foundation stone of Pandit Deen Dayal Uadhyay University of Health Sciences, Karnal.